Creating a campus is an important step in getting started with Church Metrics. 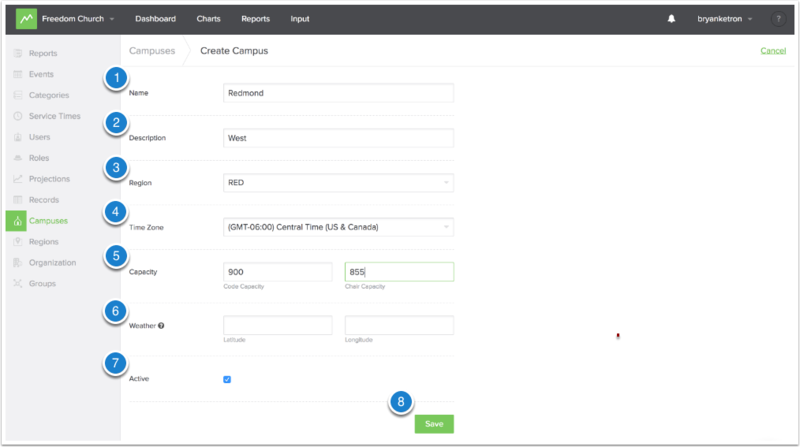 Whether you are a single campus or multi-campus church you will be able to maximize the tool to break our your data into reports, charts, and dashboards. From your profile, click the "Admin" button. 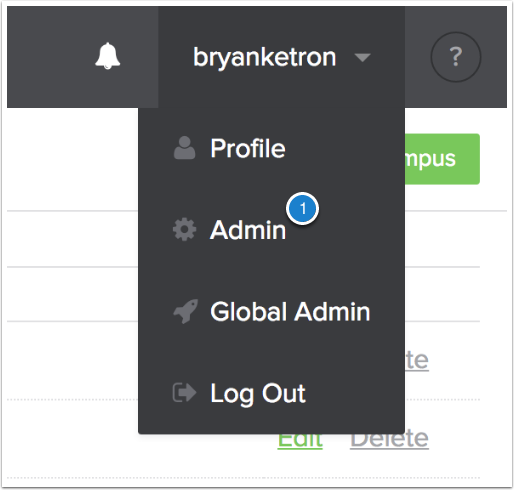 In the admin, select "Campuses" from the left hand navigation. From the "Campuses" page, select "Create Campus"
Add a description to give more detail about the campus. This will only appear on the campus page. This is not required. If your campuses are broken into regions, you can select that here. This is not required. Select the time zone for your campus. Add your code capacity and chair capacity here. This is not required. If you would like weather to appear on your Dashboard and Charts page, you can add it here. If this campus is active and you would like to begin tracking data for it, check "Active". If you are not planning to track data for this campus yet, leave unchecked. This is hide it from your input.